A plethora of books – independent and edited have been written on what is happening within Pakistan and where is it heading towards – by academics, journalists, retired bureaucrats and strategic analysts within Pakistan and elsewhere. Why is there such an interest in Pakistan, in the last few years, especially on its problems and its future? Undoubtedly, the central role of Pakistan – both positive and negative, in the War against Terrorism in the Af-Pak region is a major reason for the interest. Besides, there are three other major interests – the role of Pakistan in future stability of Afghanistan, and the region, especially its relationship with India, the internal struggle within Pakistan along the moderate and radical divide. These four issues together will make everyone glued to following Pakistan on a day to basis. 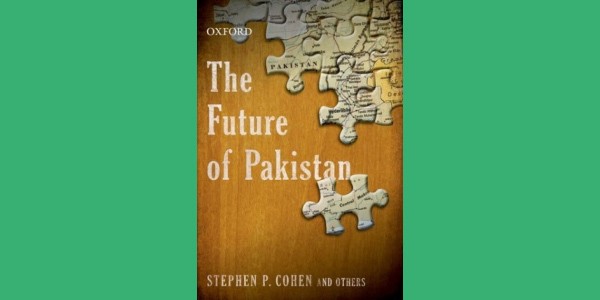 The objective of this volume led by Stephen Cohen and a host of authors from the US, Pakistan and India, as mentioned in the preface is to “briefly set forth important variables or factors that might shape Pakistan’s future and to speculate on the likely outcomes.” This in itself was an arduous task, as anyone following events unfolding in Pakistan would understand. Events and issues change overnight, undermined or overshadowed by new development. Problems and crisis did not decline or got over; instead there was a bigger crisis, subsuming an earlier crisis. Keeping in mind the above inherent problem in observing Pakistan, despite the self critique in the preface that some authors adhered to the above more closely than the others, the individual chapters addresses key issues and problems, and more importantly also raises significant questions. Obviously, when the volume was being put together, the crisis between the two main institutions of democracy - the Judiciary and Parliament has not blown as it did in the first half of 2012. As Cohen himself would argue, predicting the future is more of an art, than a science; and in Pakistan’s case, where at times, even the news papers get outdated by the one reads in the morning, Islamabad forecast is perhaps the toughest assignment for any analyst. In his own analysis, Cohen quotes a former Ambassador to define the conundrum: I don’t know where Pakistan is heading, but once it gets there, I will explain to you why it was inevitable. Cohen also presents seven scenarios – few are less likely such as democratic consolidation, breakaway and breakup, and an Army led revolution. What is perhaps more likely in the scenarios presented would be a “muddling through” for the next five to seven years, parallel Pakistans, and more of military led authoritarianism. While Kanti Bajpai’s scenarios cover all aspects including State collapse, Balkanization, Islamic revolution, liberal democracy, and military rule, his conclusion, which he considers as a moderate possibility is: Pakistan will muddle along, more or less as it is today. Where is Pakistan today? What is the main problem and how did Pakistan reach where it is today? The essays by Laila Bokhari, Chritine Fair, William Milam, Shuja Nawaz, Shauqat Qadir, Hasan Askari RIzvi and Tariq Fatemi provide a descriptive and structural analysis of where the problems are. Though these essays comment on different issues of Pakistan – radicalization, fundamental challenges and its uncertain future, all three essays provide an overview of where the problem lies, what are the root causes, and how did they progress. Militancy and orthodoxy as an external factor or an independent variable may be relatively easy to deal with, but what will the future looks like, if it has “seeped deep” into both the State and Society in Pakistan? Especially, if it has started influencing the youth, with a big bulge, what would they do? Focus on the youth bulge in Pakistan, its quality or lack of it, its perceptions, fears, assertion and orientation, and how the youth see the future becomes important. Anita Weiss and William Milam discuss the lost generation and population growth, but the substantial coverage comes through Moeed Yusuf and his surveys on the perceptions and mind of the youth in Pakistan. However, the youth bulge and its perceptions are not uniform. To borrow Cohen’s phrase, there seems to be parallel youths with parallel ambitions from Lahore to Mir Ali and Karachi to Mingora. Two essays written by Indian scholars looking into Pakistan’s relationship with China and India adds value; perhaps two more specific essays on Pakistan’s relationship with US and Afghanistan and the road ahead would have covered the entire gamut at the external level – for these four countries are likely to impinge on Pakistan’s future external relations more than any other country. So where is Pakistan heading towards? Those who have been following Pakistan would conclude it is difficult to predict. Perhaps, it is easy to map the path and the trajectory, but not the destination. Simply because, there is no single unilinear path and straight trajectory. There are multiple paths and different trajectories at the same time. The above also makes any analyses and predictions difficult. For every perspective, the contrary also seems plausible. That is what makes Pakistan interesting and explains the plethora of volumes in the recent years and in the near future. For Pakistan will continue to muddle through.